I’ve finished the second draft of Bronze Raiders. I’ve got different people looking at it now. I’m posting the first chapter here for those who are curious. It has not been properly edited, so please excuse the grammar errors. The second draft of Bronze Raiders is almost done. I’ll probably send it out in the next few days or mid next week, depending on when people can read it. Once I send it out, I’m going to post a chapter here. I’m very proud of where it has gotten so far. Once the second draft is finished, I’ll give it a third draft and hopefully by then, I’ll be ready to send it to an editor. I am weighing options on how I want to get it out for people to read. I am most likely going to go the e-publishing route through Smashwords. I’ve been working on a novel called Bronze Raiders for the last year and a half. I finished the 1st draft almost a year ago and got lots of critiques on it. I had to put it down after the job loss, but I recently picked it back up and putting it through a second draft. I hope to be done with it in about a month or so. I’ll put up a segment in a little while. Meanwhile, I’m putting up the map. Set years before the fall of Troy, Prince Hektor’s fame is just beginning to rise. 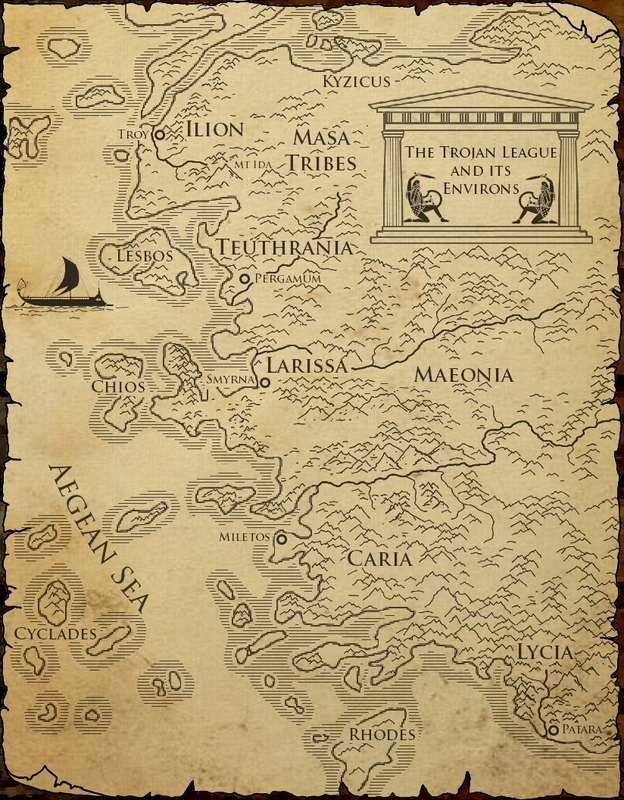 Fresh from a victory over Athens, Hektor is called upon to rid the southern Aegean of a magical band of taurus: half-man/half-bull-like creatures. Forced to ally with a hated rival, Hektor’s travels bring him as far as the fabled land of Lycia where he finds love and adventure in the most unexpected places.